Saint Joseph community remembers Fr. William John MacCandless, O.S.B. 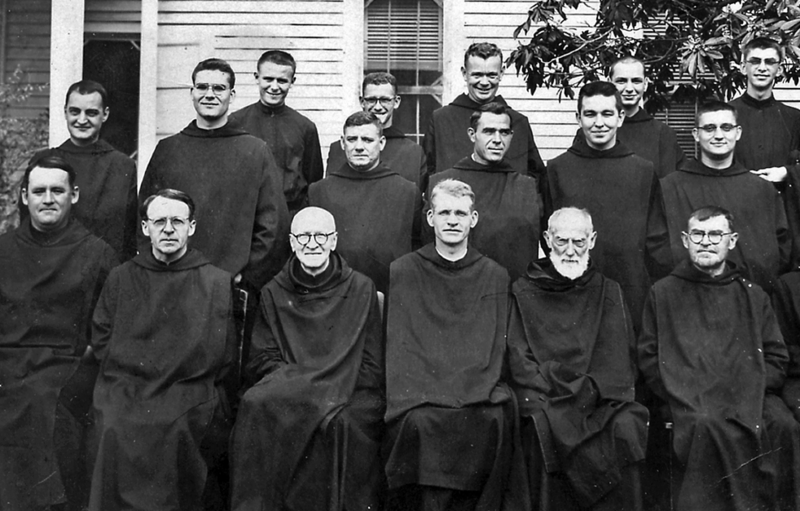 Saint Joseph Community remembers Brother Anselm Hollingsworth, O.S.B. Saint Joseph Community Mourns loss of Abbot Patrick Regan, O.S.B. Brother Stephen Grace, a monk of Saint Joseph Abbey, died at the Abadía de Jesucristo Crucificado in Esquipulas, Chiquimula, Guatemala, on Saturday 1 July. He was 85 years old. Click thumbnails below for larger images. Kerney Grace was born on 8 February 1932 in Plaquemine, LA. He entered Saint Joseph Abbey in Covington, LA, and made profession with the name Stephen on 23 February 1952. He began immediately working in the Abbey's dairy farm operation, and he was soon in charge of the herd of some 300 Holsteins. When the Abbey gave up the dairy in 1968, Brother Stephen managed the transition to a beef-herding enterprise. When that too was abandoned, he fulfilled a long-standing dream to join the Abbey's monks caring for the pilgrims at the Basilica of the Black Christ at Esquipulas and the people of the local area. He spent the rest of his life there, though he remained a monk of the Louisiana Abbey even after the monastery in Guatemala became an independent Abbey in 1982. A mild-mannered and soft-spoken man, ever with a warm smile, he was beloved to his brothers at both monasteries, to a throng of loving relatives, and to all whom he met. He died after a lengthy struggle with Parkinson's disease. He was brought home to the monastery in Guatemala just in time to die among his own. His funeral was celebrated by Abbot Héctor Sosa-Paz in the Basilica on Sunday 2 July, and he was laid to rest in the cemetery at Esquipulas.